Fangirl Twirl: 2016: When did that happen? 2016: When did that happen? So, another two months have passed since my last post. Oops. Well, here's an update. I didn't do ANY cosplay stuff from Edmonton Expo until last week. Can we say I was resting? More on my newest project in a sew. There was Christmas, which always means board (and card) games in my family, which included Ticket to Ride, Clue with my nieces and Wits and Wagers. My boyfriend received Stratego for Christmas from a friend, which we haven't tried yet. I did get to try one new game recently, which is super fun and that was Roll for the Galaxy (link goes to Boardgame Geek). Seriously, so much fun. Try it if you can! On the video game front, I've played some Fallout 4, Heartstone and did a bit on the new Diablo season that just started, but mostly I've fallen into an bit of an obsession with Assassin's Creed: Syndicate. I really love Evie's character because she is a capable female assassin instead of being eyecandy or an accessory. Her and Jacob are equals (although the game cover would suggest otherwise, which is annoying). 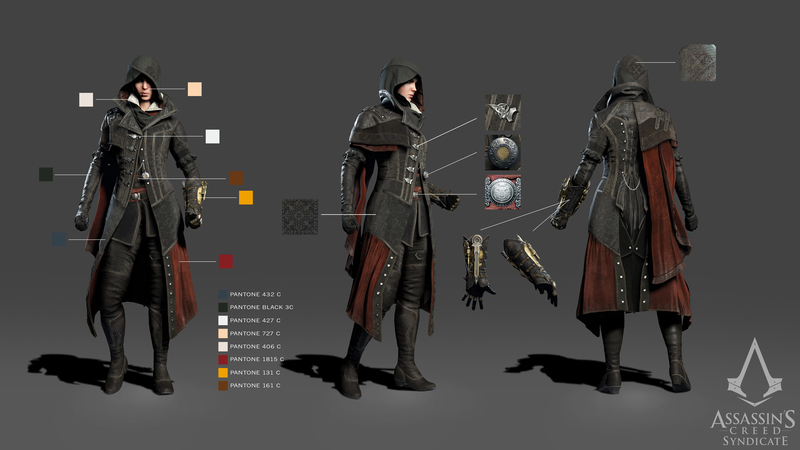 And that leads me to my decision on my latest cosplay project: Evie Frye. There's a lot of work to be done on her outfit alone, not to mention if I want to do any of her weapons. But I'm not going to rush myself and just go at the speed that my work ethic and budget allow.. Anyway, sorry for the long delay between posts. Now that I have my cosplay mojo back, I *should* be a more active blogger. Thanks for the recommendation on Roll for the Galaxy. I've tried Race for the Galaxy and found it a little too complex for me, but this sounds like a great compromise. Can't wait to see how your Evie cosplay comes together!